Last Tuesday on September 30th we had a book party for Willful Subjects at Gay’s the Word. It was very moving to launch the book in this space. I had just seen the film Pride (2014), in which the bookshop figured so prominently. I think many queer tears have been spilled over this film! It was good to be reminded of what we probably already know: that spaces like this matter; they are not only where but also how we organise; how we meet up, how we persist as a community with all the fragilities that come from having to struggle just to be. I was reminded too how struggle can be creative: when we have to struggle to be, it can change what it means to be. I said a few words at the launch myself, as did my good friend Jonathan Keane and my partner Sarah Franklin, who performed as Puff Dolly. The launch felt as much about the personal connections that sustain us, that allow us to send the words out, as it was about the words themselves, gathered in the form of a book. This is: as it should be! Puff Dolly, a willful sheep, talked about willful sheep. Why sheep? I do have one endnote in my book that talks about how willfulness and stubbornness comes up in relation to animals: ‘The word “willful” and the word “stubborn” can often refer to similar kinds of behaviour (when someone is too attached to their own will such that their will stops them from being willing to do something for another). However as words they do have different affective as well as temporal qualities. We can explore the differences between through animal associations. Willful is often by conveyed by a goat: not only an animal that is imagined by humans as individualistic (I pointed out in chapter 2 that the word “capricious” derives from goat) but also one who moves fast, is mischievous, who gets everywhere. Stubborn is typically conveyed a mule: as an animal that won’t budge; that sticks its hooves into the ground when a human attempts to pull it forward. Willful wills might have that impulsive and light temporality, and stubborn wills a slow and heavy temporality. But both wills are wills that won’t be compelled by others’ (2014: 242). 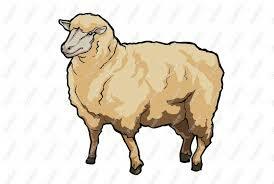 I did not mention sheep, which are often assumed as animals that do not have a will of their own. But, as I point out in the book, any will becomes a willful will when you are not supposed to have a will of your own. So no wonder sheep are amongst the most willful and queer of animals! Anyone who doubts this, should read Sarah Franklin’s book, Dolly Mixtures: The Remaking of Genealogy, which follows sheep around. As she notes in her introduction, to follow sheep around is to ‘end up everywhere’ (2007: 9). Sheep are willful wanderers! They create some queer trails! It is my pleasure to share Puff Dolly’s poem with you all. This poem is from the willful sheep army of Ovine Obstinates, also known as double O Heaven. That sheep are willful subjects on the go. Sheep often have quite complex thoughts! On willful subjects and their queries. Not quite sure where it will go…. And with his dog attempt to drive. Their flock is an unruly nation. Tis not to virtue that sheep listen. To find the pastures they prefer. Remember that — they run away! But they’re an army on the farms. United by a turn of mind. And Hegel’s really silly book. All our arms will rise and rise! !